Old man winter has decided to return to Toronto this season but gave us a small window of reprieve this weekend. Fifteen degrees in the dead of winter is certainly a lovely treat and we definitely took advantage of it. Linds, Vanessa and KT enjoying the great weather! Toronto is filled with a myriad of both chain and independent java joints with great coffee cocktails and tasty treats — we are a city ADDICTED. 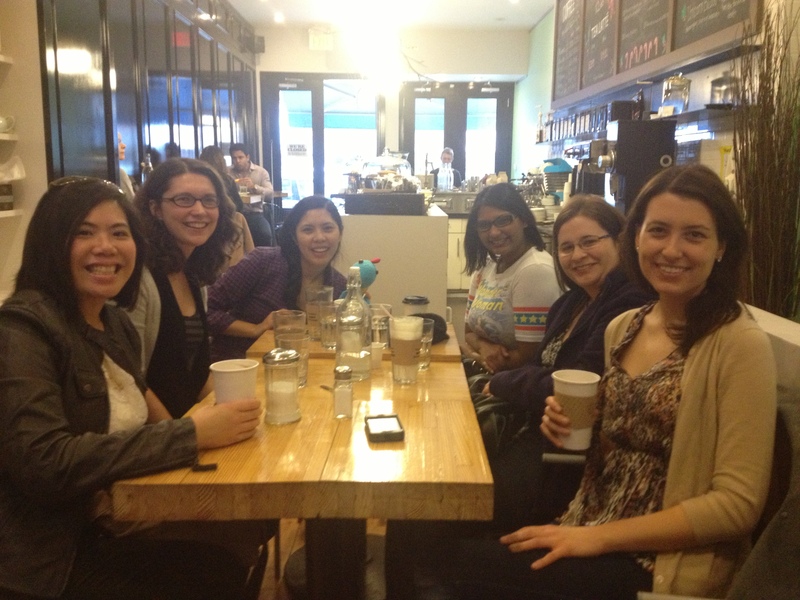 So the idea of a coffee crawl was a no brainer. Really, the question was – where to start? We had a difficult time deciding but KT made some brilliant suggestions and Toronto’s Fashion District won us over. Queen West has been under a slow transformation over the last several decades adding hip clubs and lounges, chic furniture stores and fab consignment shops. It made the walk between coffee shops entertaining. 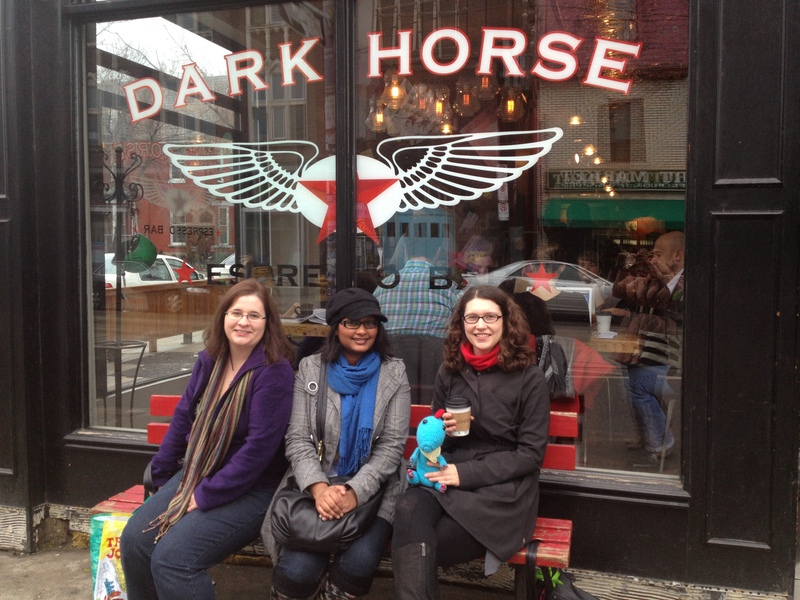 Our first stop was Dark Horse Espresso Bar. 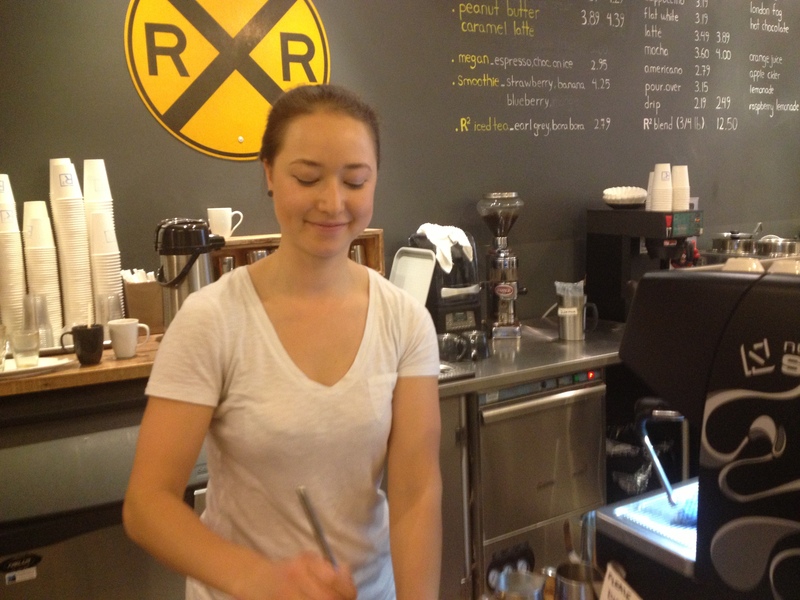 Their mission: To improve Toronto’s coffee scene one espresso at a time. The room was full of people lined up for coffee or sitting down with their laptops out. KT decided on an americano with a splash of milk to start off her crawl. She said it had a surprise caramel flavour and very smooth sip. 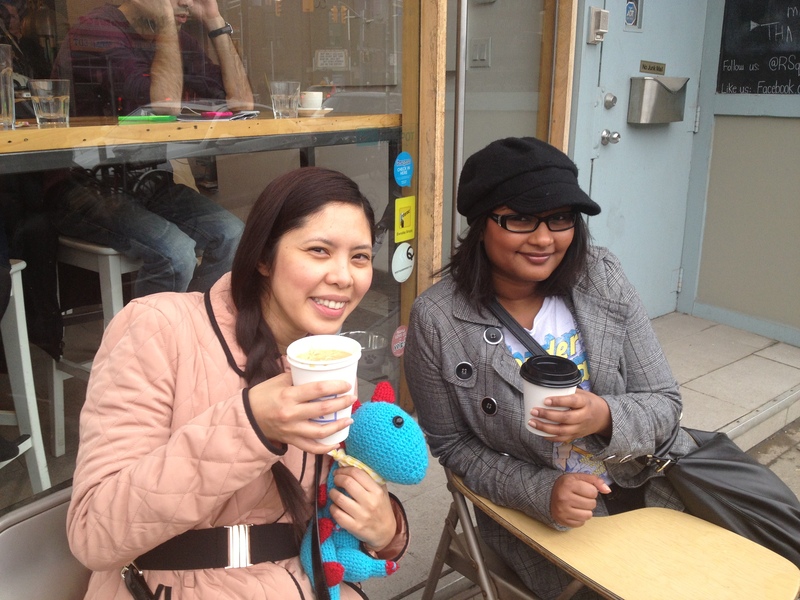 Our next stop was a quick walk a few doors down @RSquared Cafe. I was feeling a bit peckish and ordered their soup of the day, Mulligatawney, a creamy curry soup with chicken and potatoes . I took it in a go cup and sipped until our next location. I don’t know how often they make it but I would definitely recommend you get it if they have it available. It is absolutely wonderful. 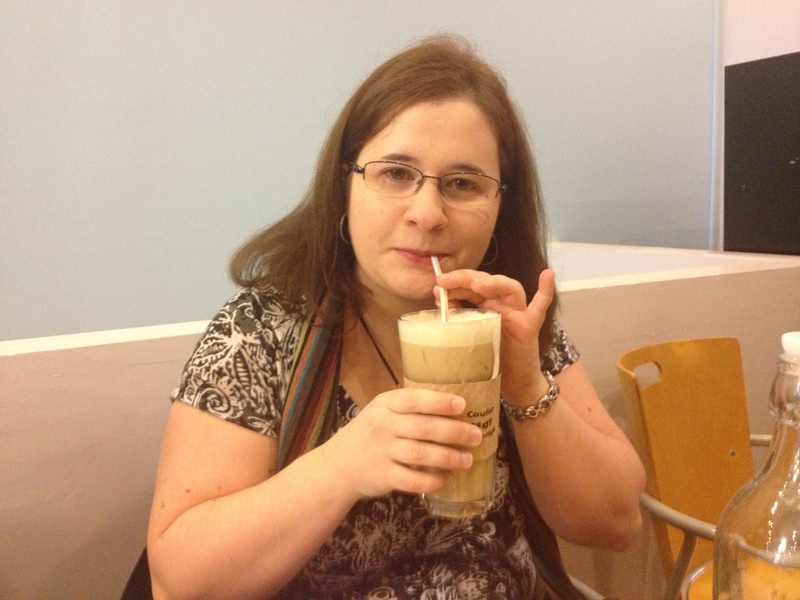 Vanessa decided to get the special Peanut Butter and Carmel Latte. Our barista was Gigi, who makes a beautiful coffee. She said she helped create the drink which was lacking a certain something by adding the carmel which helped the coffee and peanut butter flavours come together. I’ll admit, I was jealous. I will definitely find a reason to be out in this end of the city just to try their lattes. I also loved the school chairs that they have for outdoor seating. 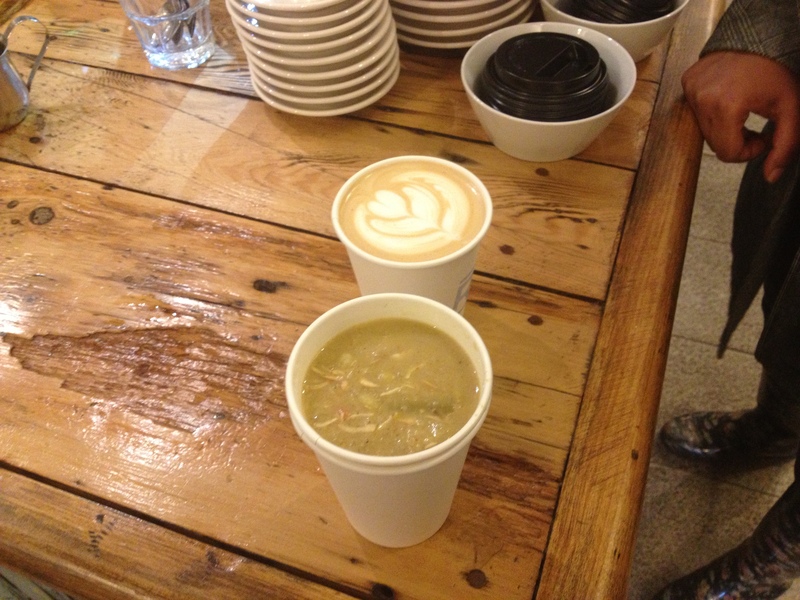 Our next and final coffee stop was Niche which was a new addition to the neighbourhood just a year ago. 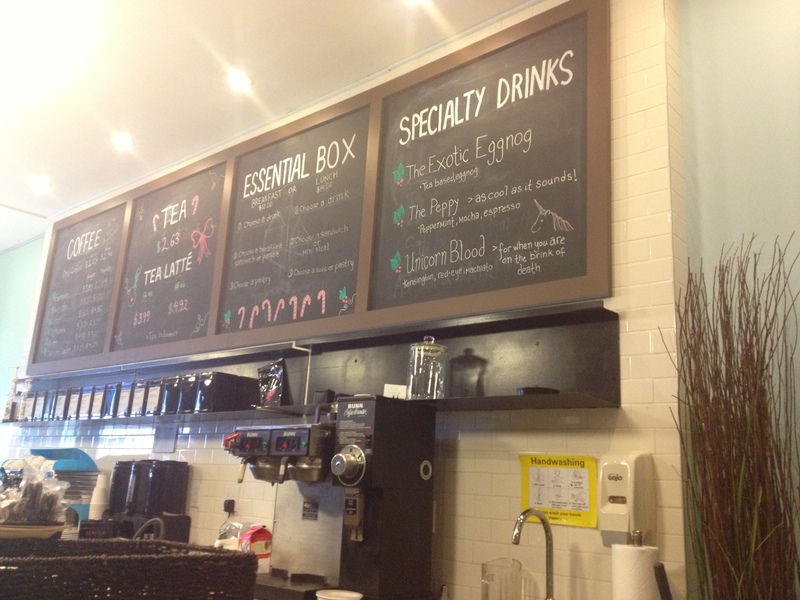 They offer some great brunch standards and tea lattes for those that aren’t coffee addicts.They still had some of their Christmas specials up on the board like the Exotic Eggnog and the Peppy. The most tempting menu item? Unicorn Blood – rumoured to bring you back from the brink of death. So what does it taste like? Perfection! A cinnamon nose with strong yet subtle carmel and vanilla flavours; it’s a great drink to have both hot and iced. I can see why Voldemort was into this stuff! The rest of our day was spent doing some shopping for some great finds at consignment shops and Winners. Not a bad way to spend a Sunday afternoon with your best girls! Here’s hoping we continue to have great weather this month. 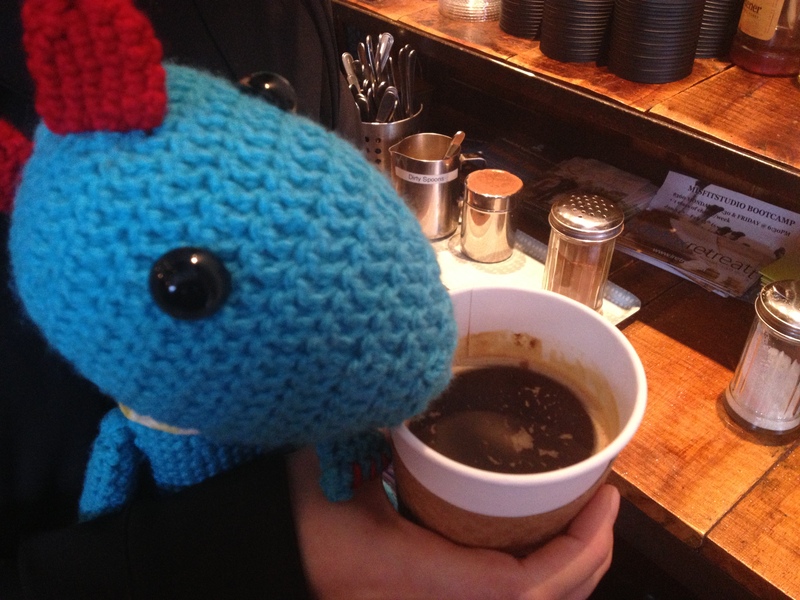 So, what neighbourhood should Brunchosaurus take his coffee addiction next? 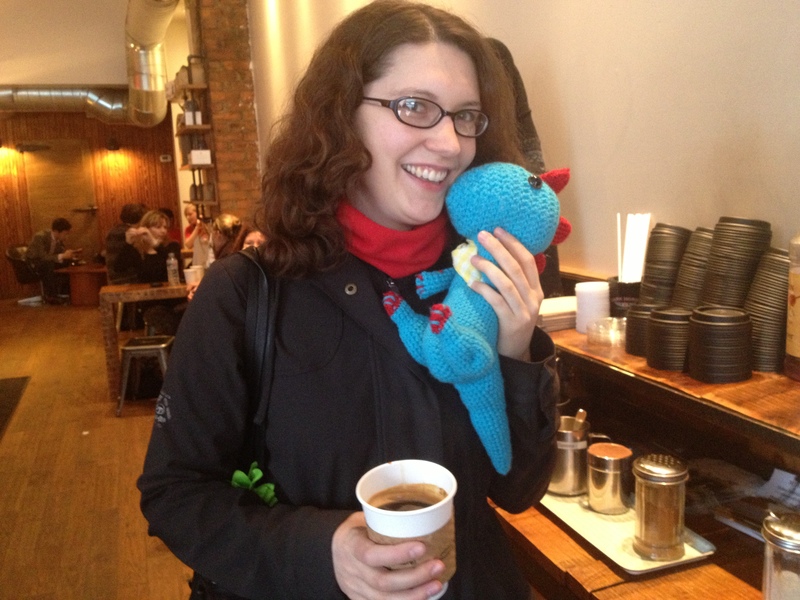 Tweet him @brunchosaurus and stay tuned for next month’s coffee crawl!